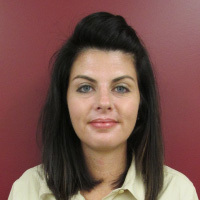 Shelly is a graduate of Southern State Community College and a Future graduate of Wilmington College. She graduated from Southern State with an Associates in Applied Business in 2015. She will graduate Wilmington College in the Spring of 2018 with a Bachelor of Arts in Accounting and a Bachelor of Arts in Business Administration and Finance Concentration. Shelly is the proud Youth Pastor at Life Church Adams where she attends with her husband and children.